Made using highest quality raw materials, Ironlak Spray Paint is a great value. Developed with user and environmental safety in mind, it contains less VOC's than competing brands. 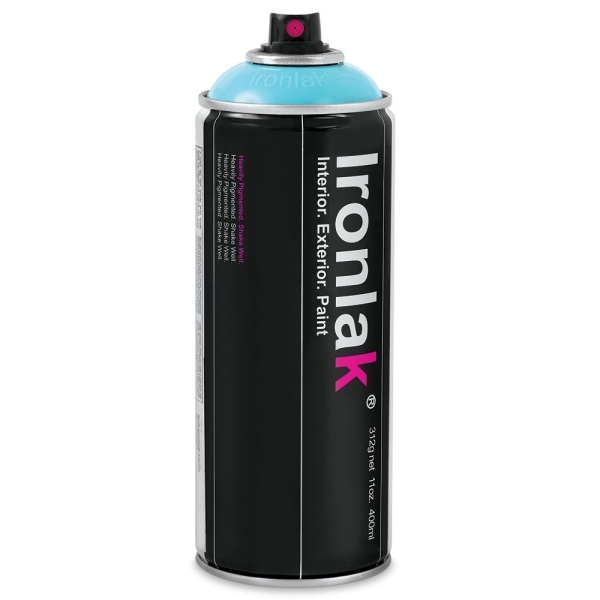 Known worldwide for bright colors and excellent coverage, Ironlak adheres to almost all surfaces, indoors and out. The 400 ml (13.5 oz) cans offer crisp control, and the paint dries quickly to a brilliant gloss finish.